The All Progressives Congress has asked senators of the opposition Peoples Democratic Party to face their legislative business and come to terms with the reality that they cannot determine how the Buhari administration fights corruption. The APC, via a statement signed by its National Secretary, Mala Buni on Wednesday, said this in response to the PDP Senators’ declaration of suspension of support for President Muhammadu Buhari’s government. The PDP senate caucus, earlier on Wednesday, said its position followed “belligerent attitude” of the APC government towards the opposition members, alleging bias in Mr. Buhari’s anti-corruption campaign. But APC said PDP lawmakers should rather face their lawmaking business in the interest of the nation. “The attention of the National Secretariat of the All Progressives Congress (APC) has been drawn to a statement credited to the Peoples Democratic Party (PDP) Senate Caucus stating that the Caucus has withdrawn its support for the government of President Muhammadu Buhari over the administration’s hugely successful war against corruption,” the statement said. “The PDP Caucus must be reminded of their primary responsibility of lawmaking and representation of their constituents at the National Assembly. The APC advises the PDP Senate Caucus not to allow political shenanigans to becloud overall national interest. 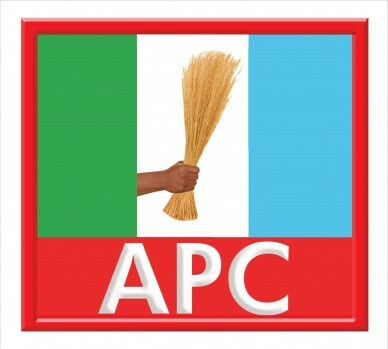 On allegations of selective prosecution of the anti-corruption war, the APC asked the PDP to approach anti-graft agencies with petitions against anybody suspected to have indulged in corrupt practices.